We explore the state of our Indian National Parks and question whether they are being taken care of or not. Read on! Did you know? India is one of the world’s 17 most megadiverse countries. ‘Megadiverse’ describes a region that contains a major part of the world’s biodiversity. Despite taking up only 2.4% of the world’s land, our country contains far more floral and faunal populations than most other countries, accounting for about 8% of the world’s biodiversity. This is the extent of life we’re taking up the responsibility to preserve and help flourish. The need to preserve environment and wildlife has been a fairly recent. Back in 1970, India had a total of 5 national parks. Today, our country is home to 102 parks, 515 wildlife sanctuaries and 47 conservation reserves. And yet, it’s not enough! Poaching, deforestation, extinction and many other wildlife-related issues are still abundant, and haven’t garnered as much concern as they need for real impact to be made. Often, plans and initiatives are sanctioned with little research or thought put into them beforehand. For example, construction began in the Khijadiya Bird Sanctuary in order to “beautify” the area. The result was commercialization of the sanctuary, turning into a pretty picnic spot that significantly disturbed the natural habitat by scaring the birds and affecting nesting and roosting. An even more striking example is the Kaziranga National Park in Assam. Though conservationists repeatedly warned against it, the government sanctioned the construction of the Numaligarh refinery in the name of “development”. The venture is a joint one between Oil India, Bharat Petroleum and the Assam government. Some quarries also came up in the area, resulting in the displacement of local villagers, whose community the government had sought to “develop”. The concrete walls put up by the refinery prevented the free passing of animals, affecting elephants and many other species. Kalpavriksh, one of the oldest environmental NGOs in India, has termed these kind of situations as “anti-development” in their annual Protected Areas Update. The Ken-Betwa river linking project is one of 30 interlinking projects the government has planned. 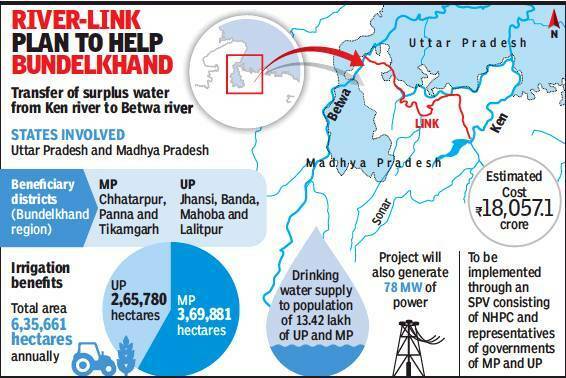 The plan includes a 77-metre-high dam, in order to irrigate the drought-prone farms of Bundelkhand. The National Water Development Agency claims the plan is important for national water security, while local experts claim that the plan is unnecessary as the region has already reached its irrigation potential. Despite the fact that the project would be single-handedly wiping out 50% of the Panna Tiger Reserve in Madhya Pradesh and causing irreparable damage to its ecology, the plan was given environmental clearance. In 2007, the Panna Tiger Reserve in Madhya Pradesh was awarded the best maintained national park by the Ministry of Tourism. Great news, right? Flash forward to no more than 2 years later in 2009, and the very same reserve has lost its entire tiger population. How did this happen? Turns out, the forest department had conspired with a gang of poachers. In 2016, a report compiled by the Wildlife Crime Control Board highlighted six species that were traded illegally from Mumbai to different parts of the country, including 9 cases where star tortoises were traded. Trades in pangolin scales, elephant ivory, tiger skins and other animal parts were recorded in the report too. In the same year, two UAE men were caught at the Mumbai airport with bags filled with hundreds of endangered tortoises and turtles. India saw 117 tigers lose their lives in 2016. In the last 6 years alone, Maharashtra Forest Department has noted the deaths of 414 leopards. And no, most of these deaths weren’t natural. In fact, the only recorded causes of death besides falling into open wells were poisoning, poaching, targeted killings where the poor animals were caught in snares. Poachers aren’t the only ones creating problems - fishermen are constantly caught fishing illegally in marine sanctuaries, the government continues to issue scientific expeditions into reserves meant for the peaceful habitation of wildlife, and recently, the ban on the passing of heavy vehicles through the Kawal Tiger Reserve was lifted by the Telangana State Board for Wildlife. 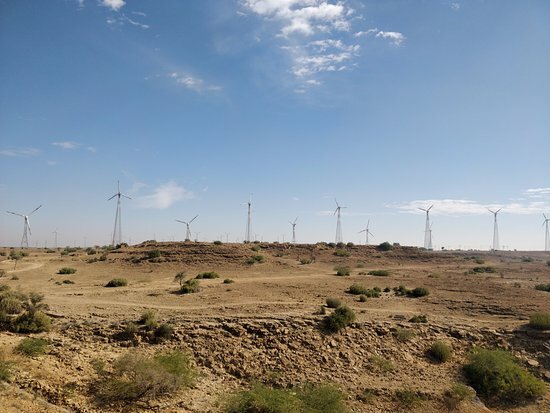 In September 2016, the National Green Tribunal banned installations in and around the Desert National Park in Rajasthan, declaring it an eco-sensitive zone. And yet, windmills still continue to be installed here. The #1 Issue - is it awareness or funding? While lack of awareness is a major reason for our badly run parks and sanctuaries, we think a lack of funding poses a bigger challenge to the maintenance of parks and sanctuaries. Awareness is only one aspect of the problem; raising awareness still doesn’t actually drive change as a result. But funding is the major fuel behind any initiative that can not only create awareness and educate people, but also hire the kind of talent needed to make the right decisions, ensure that the law is being abided by, and implement initiatives effectively to truly drive change. For example, take the case of the Manas National Park in Assam. For years, officials and conservationists from both India and Bhutan called for monetary support for trans-boundary monitoring and protection of wildlife. Finally, in 2016, the state government agreed to provide a funding of Rs. 5 crore. As of 2017, the funds were still not released. As a result, necessary initiatives were put on hold for years; these include the construction of anti-poaching camps, watchtowers, deployment of personnel for anti-poaching and procurement of arms and ammunition, setting up of new boundary pillars and digging of trenches. Every winter, Nandhaur wildlife sanctuary in Dehradun attracts a plethora of tourists who bring them a good flow of income, enough to support and protect the wildlife. However, in 2016, the sanctuary was forced to remain closed to tourists as a lack of funding prevented them from repairing roads that were severely damaged in the preceding monsoon. This, in turn, affected the sanctuary’s plan to host the spring bird festival the following year. Despite all the plans and initiatives that were ill-planned or hindered by funding or the government, our country’s conservationists, environmentalists and even the public played important roles in doing justice to our precious wildlife. When the public raised concern about the several frequent deaths of the Gir lion due to electrocution, the Gujarat High Court was quick to set up a 10-member committee of forest officials to look into the deaths and work towards preventing them. 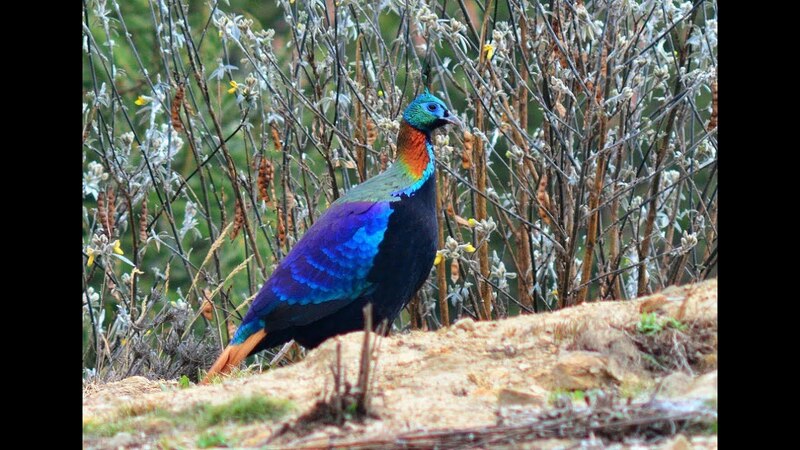 The Himachal Pradesh Wildlife Department began attempting captive breeding of the Himalayan monal in an effort to revive its population. And they’re succeeding! Their large breeding centre in Manali, fully equipped with cameras and equipment also rescues monals from around the state and nurtures them. Authorities at Bandipur and Nagarahole Tiger Reserves are going the extra mile to ensure cleanliness at the reserves by checking every vehicle for potential plastic and food waste and have increasing patrolling on the national highways that lead to the reserves. They also regularly take in volunteers for clean up drives. Madhya Pradesh’s forest department recently bagged a large win by busting a major poacher network in the Pench-Kanha corridor. 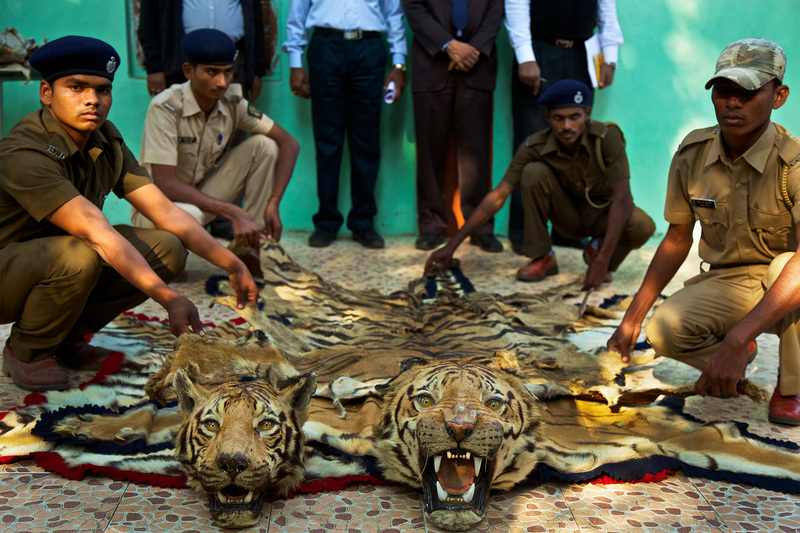 They arrested 39 poachers caught with 4 leopards, 3 tigers and 200 wild boars. Some of the poachers included “tantrics” that had lured the villagers, saying that the animals’ claws and bones held “powers” that could ensure success in gambling and make the villagers rich. Many deeply rooted problems plague our country abundantly - poverty, hunger, illiteracy, child labour, the list goes on… and new, twisted issues keep cropping up frequently in large magnitudes (like the farmer suicide). With our 1.5 billion people facing possibly an even large number of problems, it’s often hard to pay attention to something that doesn’t directly affect us. Think of it this way-when your children are malnourished at home or when you’re the breadwinner for your family and can’t get a job because your parents couldn’t afford to send you to school, the issue of the diminishing tiger population is likely to be the last thing on your mind. Of course, we’re not taking the side of the poachers! Rather, we’re saying that stringent laws and punishments aren’t going to teach people why these laws are written in the first place, or why it’s important to protect the environment. When Evanna Lynch visited Kerala to investigate the abuse of elephants, she didn’t hate or blame the mahouts for hitting or chaining the animals. So let’s accept that the road to bringing full justice to India’s beautiful beasts is going to be a long, winding one with many boulders and ditches along the way. You and I have an equal responsibility to preserving our parks and sanctuaries just as much as the government or the conservationists. We can ditch that Goa plan to instead visit a sanctuary and bring them revenue. We can be cautious with our waste when we’re in the home of the wild and encourage our friends to do the same. We can volunteer to clean up reserves or parks. We can attend a nature walk or an awareness programme to learn more about our parks. What do you think? Let us know by dropping an email to engage@impactguru.com!